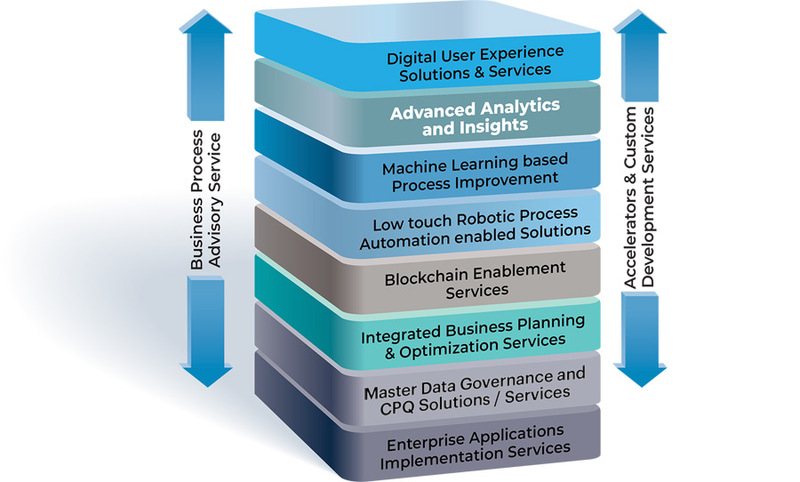 Our full-stack Digital Supply Chain service footprint. 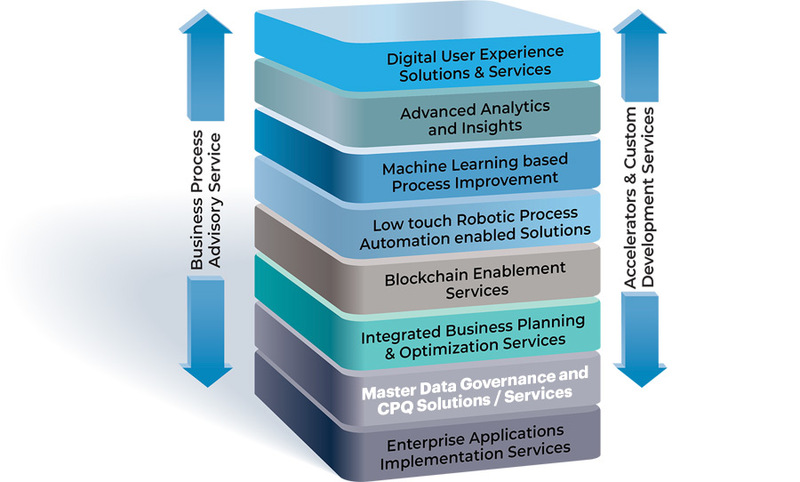 SCM Accelerators offers a full stack of solutions and services that can be leveraged to achieve your Digital Supply Chain Transformation needs. Do you require a true end-to-end solution? Or simply assistance on a Supply Chain specific challenge? SCM Accelerators can help with both. We do not simply implement IT solutions. We solve real Business Problems with the right processes and technologies. 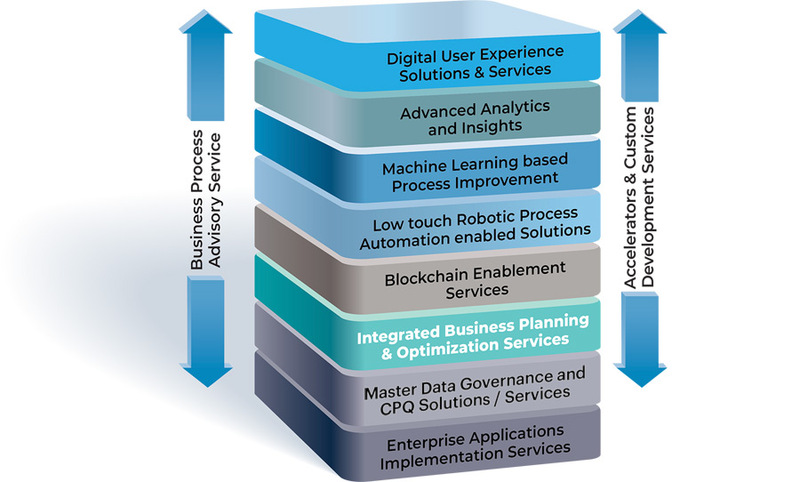 Our Advisory service line is comprised of Industry leading Supply Chain operations and strategy experts, driving business transformation and value across key domains including Planning, Order Management, Manufacturing, Procurement, Outbound logistics, Warehouse Operations and Master Data Management. 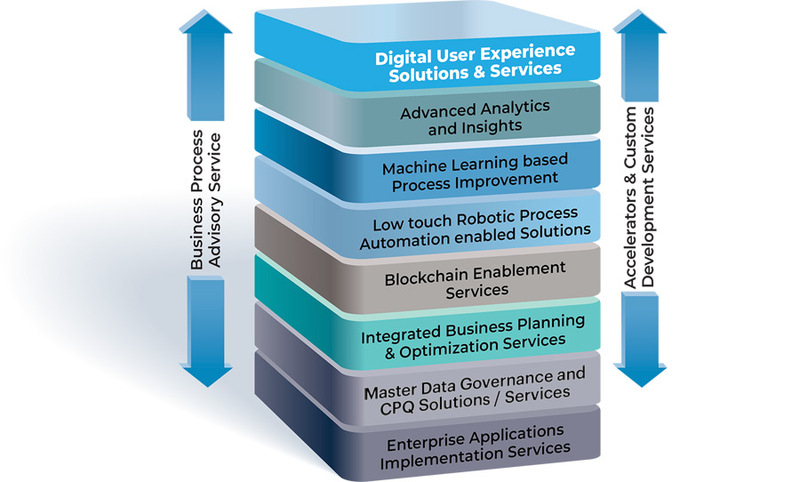 Leveraging Design Thinking and an Agile approach to develop and deploy Digital applications drive Two-Speed IT, Innovation and Differentiation throughout the extended Supply Chain. Our digital service line provides native web and mobile apps through agile and innovative human centered design, across disparate landscapes. Leveraging Big data and real-time Supply Chain events, provide valuable and actionable insights, through Descriptive, Predictive, and Prescriptive Analytics. We advise organizations on how to marry strategy with best-in-breed tools and sustainable analytics to optimize process, analytics, and execution. There are significant and tangible opportunities that Machine Learning can bring to improve the outcome of core supply chain processes. 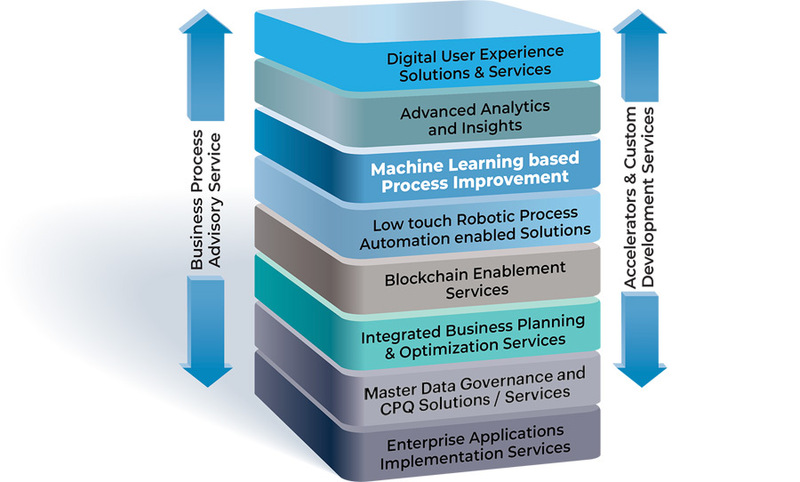 We leverage prescriptive analytics and optimization through advanced, self-learning and perpetually improving algorithms to drive real business outcomes. Automating the processing of data intensive, and error prone transactions helps keep your workforce focused on real value-add activities. 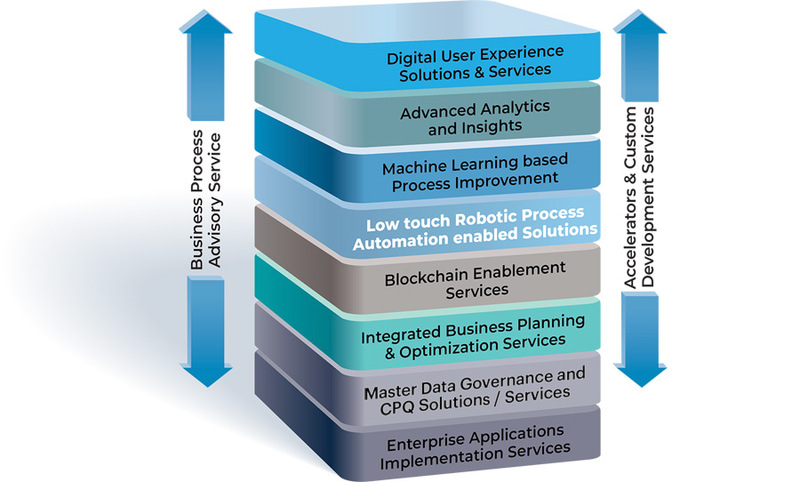 Our RPA solutions accelerate Digital Transformation while improving efficiency and eliminating costs by automating business processes across disparate landscapes. Few buzzwords get more airtime these days than "Blockchain". Is it ready? Is it right for your track-and-trace needs? 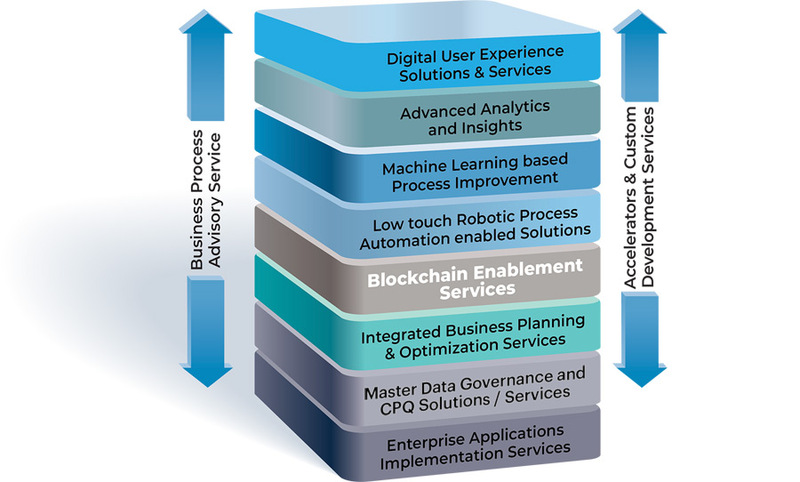 Our Blockchain services & solutions provide an asset-centric, automated, and secure platform that drives visibility and improvement across your extended supply chain ecosystem. Blockchain Platform Design & Mgmt. It is important to apply the right technology solution to your Planning needs especially when selecting the best of SAP IBP, SAP-SCM-APO, or other planning applications that meet visibility, collaboration and integration needs. Our IBP & Advanced Planning and Optimization Service line provides end-to-end consulting services from Demand Planning, S&OP, Supply & Response planning, Inventory Optimization, and Global Available to Promise. In the world of Distributed Cloud Applications, Master Data Management & Governance is more important than ever. There has been a resurgence of a Configure-to-Order business model, as companies move to a more responsive and late-stage order fulfillment model. We leverage the latest SAP Variant Configuration, analytics, and digital technologies to drive rapid realization and differentiation in complex, configure-to-order and engineer-to-order environments. Many companies struggle to decide on the best approach to keep their ERP system current. Centralization versus decentralization, Brownfield upgrade to SAP S/4 HANA or re-implementation, Core extension or Digital app? 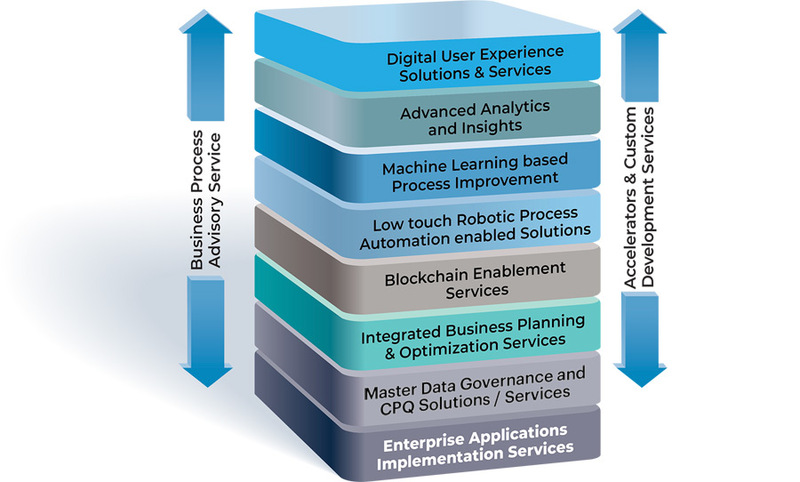 Our ERP service line offers end-to-end implementation; optimization and support services through deep technical, functional, and Domain expertise, driving new business models and transformational outcomes in an agile and accelerated way. It is important to apply the right technology solution to your Planning needs. Selecting the best of SAP IBP; SAP-SCM-APO or other planning applications that meet visibility, collaboration and integration needs. Our IBP & Advanced Planning and Optimization Service line provides end-to-end consulting services from Demand Planning; S&OP; Supply- & Response planning, Inventory Optimization and Global Available to Promise.